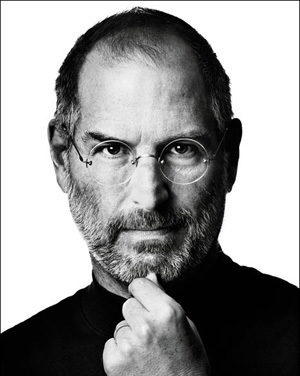 Just wanted to share a few thoughts with you all regarding Steve Jobs, and his departure from Apple. 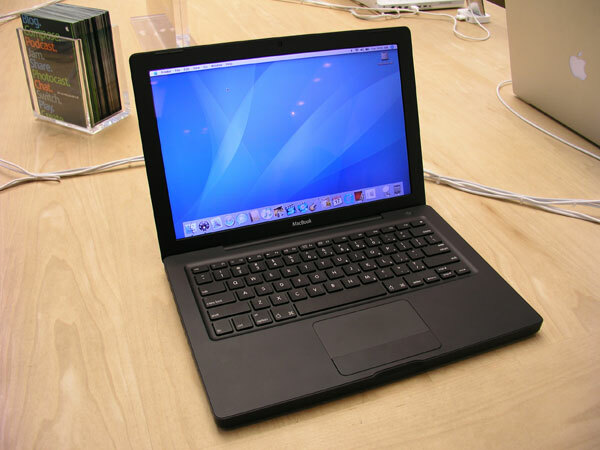 Having put up for years with slow, bitty desktop PCs running at a tenth of the speed they promised, and more importantly the incessant nagging of my best buddy (and now full-time genius) Martin, I finally took the decision in December 2007 to upgrade to a Macbook. Sadly, when our old house in London was burgled last year, both Ana’s and my laptops were the only things of any value stolen from the house. We were both upset about this, although not enough to lose perspective over the fact that some scumbag had been in our house and turned our drawers inside out. I’m not an under-the-bonnet geek. I am into communities, building them and growing them online. The tools I use are just a means to an end. If it’s not quick, or if it doesn’t let me do what I need to do in a simple, user-friendly way, I don’t like it. Apple made building, maintaining and growing social networks a breeze. It made listening to and storing my music an enjoyable experience. I feel like my iPod, iPhone and Macbook Pro enhance my working life, and make surfing the web, writing, researching, creating, downloading and uploading so intuitive I don’t even need to think twice about what to do. Steve Jobs helmed the company through this period, and I’m not going to gush, but I just wanted to say thanks. You’ve made my job a lot more fun, and much easier, as a result of your hard work and attention to detail. I really appreciate it, and I hope you have a long, happy and healthy retirement. And to people who complain that Steve Jobs only ever answered your emails with one-sentence (often one-word) responses, I will only say this once: Grow up. It’s how CEOs write emails. In the aftermath of the riots that have shook the country to it’s core over the past week, one of the most interesting and disturbing developments is not only the media and the government looking to try and blame social media and technology for the social issues behind the riots, but also the staggering amount of misinformation and negative memes disseminated through social networks. 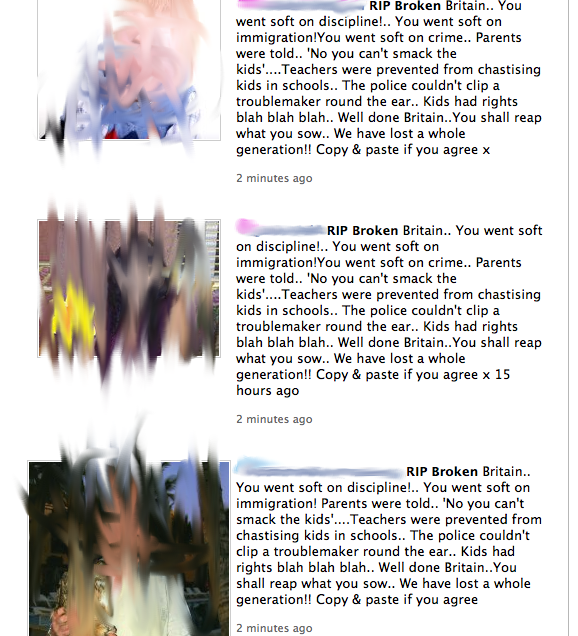 It’s clear that in moments of turmoil, some people choose to try and be as unhelpful as possible. 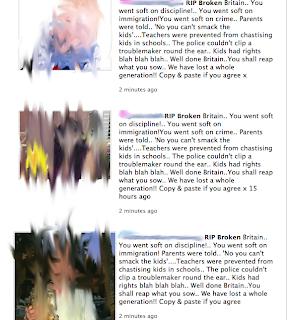 One meme that I noticed on Tuesday going around Facebook was ‘RIP Broken Britain’, a series of soundbites designed to provoke anger at the supposed ‘liberal soft-soaping’ of people in this country, meaning that ‘decent folk’ couldn’t beat their kids, or I don’t know, shoot kids hanging around outside of their houses. I often wonder where these memes come from, who plants them, and why they are so often from the right of the political spectrum. 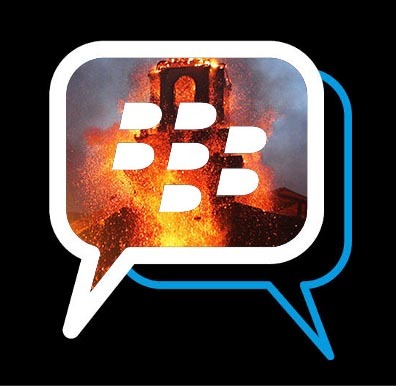 Riots, Twitter, BBM and the art of deflection. I moved up to Manchester last year with my lovely girlfriend after six years of calling London my home. The events of the past few days have shocked and saddened me beyond belief, and despite what people have said to the contrary, this is a situation that has been brewing for quite some time. You only have to take a look at the world around you, the disaffection many people feel with traditional politics, and the consumerist culture we have created and perpetuated, which grants you status only on account of the amount of money you earn and spend. Add that to a potent brew of unaddressed issues surrounding crime, immigration, education, joblessness and the gap between rich and poor, and you have a very angry country on your hands. The country is clearly in pain, and this riot is as indicative of the general tension within the country as the Council Strikes in Southampton, the tuition fees protests, and the rise of far-right organisations such as the EDL. We all have to be very careful when it comes to getting all of the facts together, and not just blindly agreeing to a moronic narrative set out to us by others. The one thing that I’d like to clear up is that technology and social media, whilst being an echo chamber for society, is not an enabler of violence and disorder. Just as Facebook’s role in the Arab Spring has been over-stated, the true factor in public disorder is not the screaming, shouting and hand-wringing that goes on in social spaces. It's not in the BBM’s people send, the phone calls we make or the text messages we send. Nearly all public uprisings start in private. Therefore, ‘social’ is not to blame. In fact, social media sites go out of their way not to be private (rightly or wrongly). To blame technology and social spaces for enabling people to share their thoughts and beliefs on an issue is massively foolish, and only serves to deflect attention from the real debate: why are our sons, daughters, cousins, brothers, sisters and grandchildren so angry? 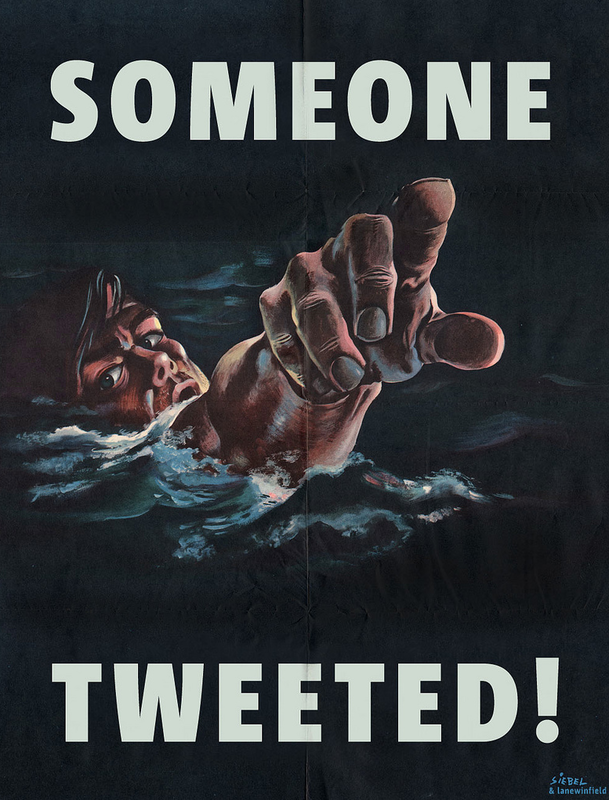 And, maybe instead of looking to shut people out of social spaces such as Twitter and Facebook, maybe the powers that be should look to engage a little bit more with them on the platforms they use. Twitter is as much about listening to people as it is about tweeting. I'm sure there's a lesson in that last sentence for somebody.